Who, over the age of 25 from Western New York, does not remember what they were doing Jan. 27, 1991? My son was just three months old, and we were at an in-laws house watching Whitney Houston sing the most perfect rendition of the “Star Spangled Banner” ever. When she died a few days ago and the world was reminded of her talent didn’t you actually feel some ownership of that song and that moment? I know I did. That’s our Super Bowl and that was our anthem. In a strange way, I have always said I had Whitney to thank for the many opportunities I have had singing the anthem. When she sang that day with her pitch perfect voice and controlled vibrato countless Whitney wannabes were born. When we would all gather at a stadium to audition they would stand there with the mic screaming and warbling absolutely sure their star was about to be launched. But no one else is Whitney! Where she was control they were chaos. Lucky for me I never wanted to be Whitney or anyone else for that matter. I just wanted a chance to sing that song on the field of a team I loved in front if 75,000 people. Denny Lynch, former Director of Public Relations for the Buffalo Bills once told me that the players are anxious to play and anything over 1 minute and 15 seconds makes than nervous. Turns out, based on that advice (and practicing it at least 1,000 times) I sing it in 1:17 when I sing it fast and 1:17 when I sing it slow. It took me seven years of auditions, singing at smaller venues and building my resume to get my first shot at singing at the Ralph. I won’t deny I was nervous but never paralyzed with fear. I have sung for major league baseball, the NFL, NHL and the NBA and try to think of the words each time I sing them. I don’t have the best voice in the world but I know I sing the words with conviction and understanding. Those that likely never got a chance, the Whitney clones would drag it out with their drama not realizing they were sealing their rejection letter fate faster than than the jets during a fly past. People would say they want the song to be sung the way it is written but that is not actually possible. The truth is, the words to the Star Spangled Banner were written by Francis Scott Key during the Battle of Baltimore but the tune is an old English drinking song so it’s hard to know how it was written. What I do know is that people want to hear and understand the words. When she sang she had the serene face of an angel and was as convincing as a preacher. The way Whitney Houston sang that song allowed many people to actually hear the words and feel their meaning for the first time. How is it possible not to be overwhelmed and humbled when you picture Francis Scott Key witnessing the bombardment of Fort McHenry on the Chesapeake Bay and still seeing the flag of the fledgling United States of America flying. …gave proof through the night, our flag was still there! When she died on Saturday the chatter on my social media included “our Superbowl anthem” as if we were standing beside her waving our flags and singing. In a very real way, we were. 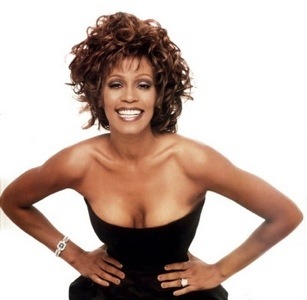 Listen next time and sing like Whitney, with respect, with reverence and with pride. O! say does that star-spangled banner yet wave. ← Olive Oil Ice Cream, Seriously!